Here's a multiple-piece scene of Pikachu and Eevee from Nintendo's Pokemon. 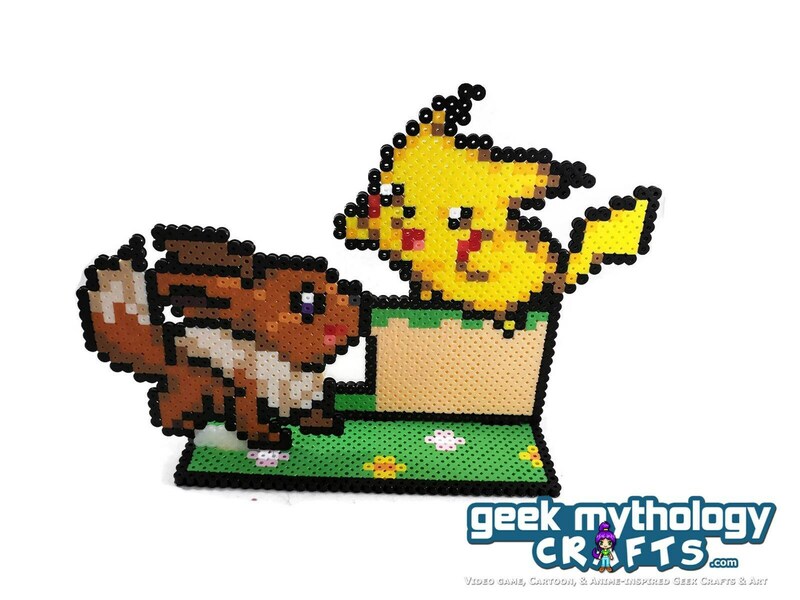 The scene consists of 2 removeable pieces (Pikachu on a ledge and Eevee) on a grass base. Each piece snaps into the base and can be taken out for easy storage. The base measures a little over 8" long. Eevee measures about 4" tall and Pikachu and the backdrop is about 6" tall.